Your family deserves unbelievable artwork! Our low-priced inexpensive portrait packages help you celebrate all of the important family moments and people in your life. After over a quarter of a century of photographing families, we understand no two are alike. That’s why we take family portraits that are uniquely yours – at an affordable price. Whether you’ve recently added a new member to the family or you’ve gathered extended family from near and far for one momentous shot, you’ll want to book a session with us. Some families skip taking formal portraits because of the expensive price tag. But with our reasonable pricing, no one needs to go without quality portraits of their family. We offer two cheap package options with different features to choose from, so you can capture the ever changing dynamics of your family. With our affordable packages, you don’t have to let your family history slip by unrecorded. Book a session with us and we promise a memorable time with your family along with cherished moments captured in unique, high-quality family portraits. After you book your appointment with us we’ll give you options on dates and times. 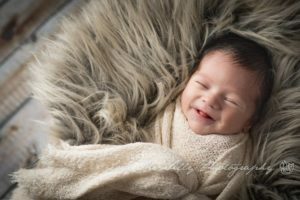 We are located in Encino and easily accessible from anywhere in Los Angeles During your session, Beverly and Steven will interact with you and your family to bring out your unique personalities while simultaneously posing your newborn boy or girl. We will take several authentic combinations of photos to capture different emotions and expressions. Once the session is complete, we will prepare the photographs and let you select your favorites for retouching. The results are stunning images that everyone will appreciate and have the ability to print anytime because you keep the High resolution images.